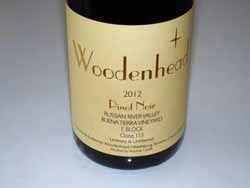 My reverence for Burt Williams and Ed Selyem have led me to many spin offs such as WesMar, Brogan Cellars and Papapietro Perry, wineries that have achieved distinction with Pinot Noir on their own. Nikolai Stez owes his inspiration to Williams Selyem as well. He worked 17 harvests at Williams Selyem, and as an assistant winemaker for Burt Williams, learned from the master. 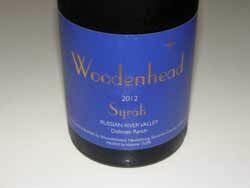 Growing up on the Russian River, Nikolai was drawn to wine at an early age and began some home winemaking while still in college. His formal winemaking education consisted of attending the Horticulture and Viticulture program at Santa Rosa Junior College and attending a few classes at UC Davis. 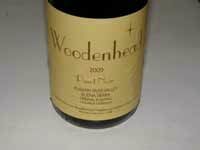 He began to seriously make garage wines in 1986 while being mentored at Williams Selyem. 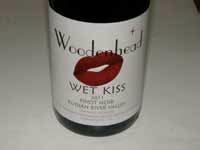 With the sale of Williams Selyem Winery in 1997, he moved on and started his own label, Woodenhead. His domestic partner, Zina Bower, is equally passionate about wine, and is involved as well, handling the marketing and business side of Woodenhead. She also has a day job as business manager at Diamond Creek Vineyards in Napa Valley. The name, "Woodenhead," was a name given to Nicolai by an old girlfriend who thought that he was very stubborn (which he is) and the name stuck. Winemaking here is “Burgundian done in the California style.” There is no pumping, hand punch downs are employed, a gentle basket press is used, and aging is in French oak. Through his years of contacts in the Russian River Valley, Nikolai has been able to source fruit from some outstanding Pinot Noir vineyards. When you look back on the early success of Williams Selyem, one key that stands out was the quality of the vineyards from which the wines were made. You simply can’t make great wine unless you have exceptional grapes. 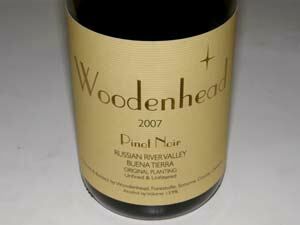 The Woodenhead wines I tasted recently are proof of that tenant. 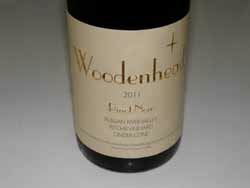 Vineyard-designate Pinot Noirs are crafted from Buena Tierra Vineyard in the Russian River Valley, Wiley Vineyard and Morning Dew Ranch Vineyard, both in the Anderson Valley, and Fruitland Ranch Vineyard in Humboldt County. 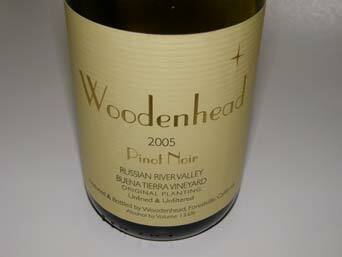 His Russian River Valley appellation blend is one of the best examples made of the genre. 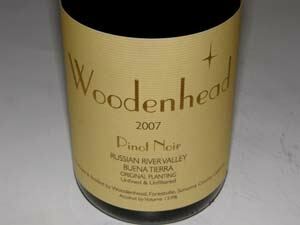 Woodenhead Russian River Valley Pinot Noir won the 2010 Pinot Cup as well as first place in the Pinot Smackdown in 2009 at Charlie Palmer's Pigs & Pinot event in Healdsburg. 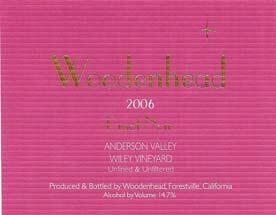 The wines are sold through a mailing list, on the website, and through retail channels. 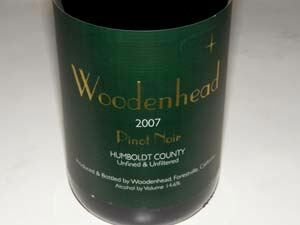 Production of Pinot Noir and Zinfandel is about 3,500 cases per year. A tasting room in a converted home is open at 5700 River Road in Santa Rosa. The tasting room is adorned with woodenhead art pieces from around the world and a gorgeous jatoba and maple tasting bar. A deck provides spectacular views. 707-887-2703.